There was a time in my life when feeding the hungry referred to making meals for our five children, my husband and I. Now that the kids are out and about I still seem to prepare meals for more than just two of us. I like having left overs but eating chili soup four times in a row is a little much. 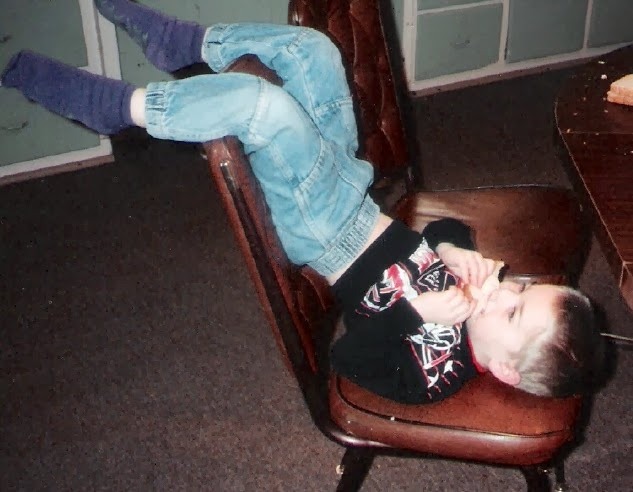 on but he would just sit that way and eat his lunch and dinner. Having plenty of food to eat is not something I take for granted. Recently a group of us from Dodge and Howells joined hundreds of other volunteers to package meals for the people in the Philippines trying to survive after a natural disaster. The soup meals we packaged with chicken flavoring, protein from soybean meal, dehydrated vegetables and rice will be welcomed food for those who have nothing to eat. Mercy Meals in Norfolk, NE welcomes donations of time and money to continue their service of feeding the hungry around the world. suffering in ways most of us can’t come close to imagining. Knowing there are people in the world that will eat soup three times a day for weeks at a time humbles me. Here I am complaining about eating chili for several meals in a row and there are people suffering from no food or inadequate nutrition. I know I can’t bring food to every child but I can keep the conversation going. Thanks to people like Norman Borlaug and Peter Beyer we can make an impact on feeding the hungry when we are open to technology. 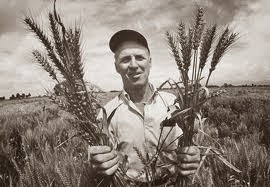 Mr. Borlaug worked with wheat strains to impact food shortages in Mexico, Pakistan and India. His genetic research was done in the field and even though he won the Nobel Prize for Peace in 1970 his work was also heavily criticized. of wheat can make 79 loaves of bread! 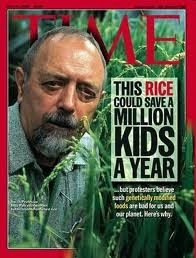 Mr. Beyer is one of the co-inventors of Golden Rice. Golden rice is a genetically modified product. Beta Carotene is inserted into the rice. This new rice has the potential to save millions of children from blindness and death in places like the Philippines due to vitamin A deficiencies. The project began as a humanitarian project and has been held up by those opposed to GMO’s. You can read a recent article from the New York Times about Golden Rice here. before meeting government agencies approval. 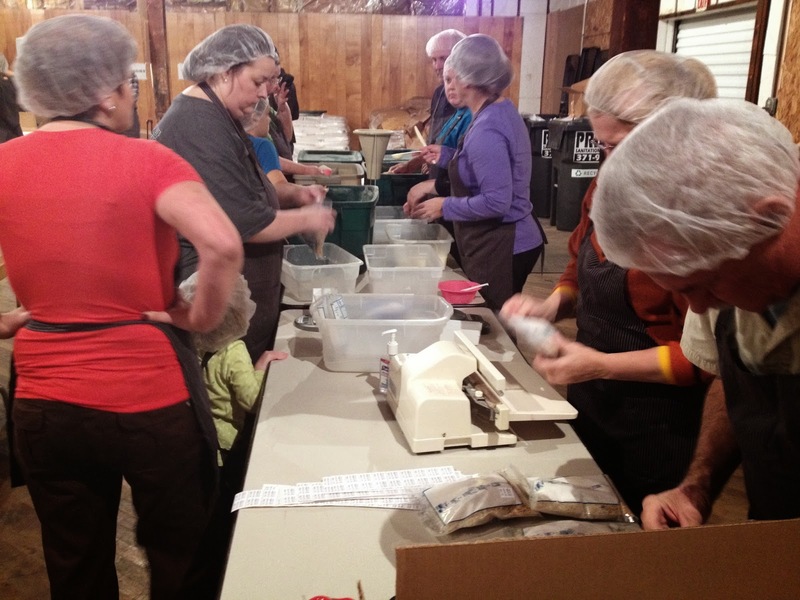 Feeding the hungry is more than growing, packaging, cooking and serving food. Technology is one tool that can change the world of the hungry from surviving to thriving. The hungry need us to take a scientific versus an emotional approach to genetically modified crops. Fortunately, people like former anti-GMO activist Mark Lynas are doing just that! I also like the Chicken corn soup very much. It is my favorite dish and i often request my mom to cook the soup for me. Chilli soup would be tasty also.